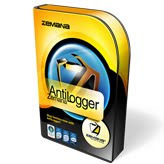 Antilogger is a computer security software that can block all known and unknown internet threats, especially anti keyloggers. It costs $34.00 US dollars. If you want get this application for free, you can use this registration code. You can Download Antilogger here. By the way, this information comes from internet, I did not try.